Water is the most limiting factor for irrigated agriculture in arid and semi-arid areas of European Mediterranean countries. In this book, the authors’ explore the different mechanisms and robust tools to monitor plant-water status, with the aim of keeping crops within a certain threshold of moderate-to-mild water stress. 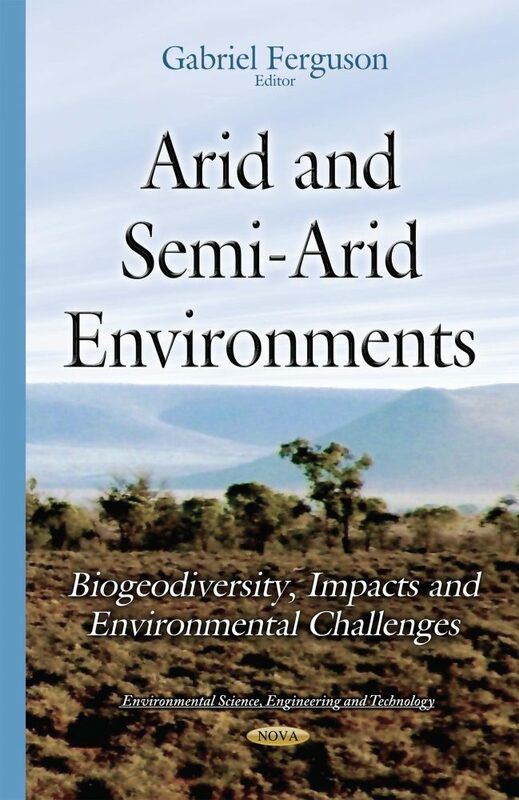 Other chapters include research on agricultural techniques in semi-arid environments that would benefit the surrounding environment and impact soil management. The third chapter includes site-specific documentation of landforms developed in the Ejina Basin in Central Asia and its implications for late quaternary landscape evolution and palaeoenvironmental change. The fourth chapter focuses on the links between economic value addition, demographics, personal income and entrepreneurship in selected South African towns. The last chapter reviews thirty years of ecological monitoring in Algerian arid rangelands.